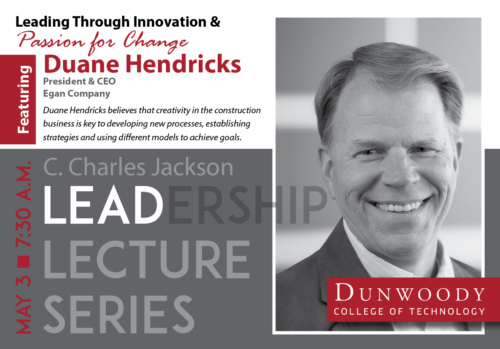 Duane Hendricks believes that creativity in the construction business is key to developing new processes, establishing strategies and using different models to achieve goals. Questions? E-mail alumni@dunwoody.edu, or call 612-381-3064.